Product prices and availability are accurate as of 2019-04-19 11:33:34 UTC and are subject to change. Any price and availability information displayed on http://www.amazon.com/ at the time of purchase will apply to the purchase of this product. 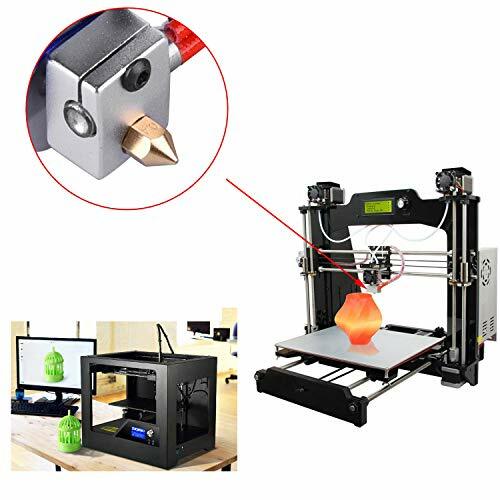 3D printer with MK8 style hotend external M6 thread, such as MK8 Makerbot Anet A6 Anet A8, Creality CR-10 CR-10mini CR-10S S4 S5, Tevo tornado, MK8 Makerbot Reprap Prusa i3, Ender 2, Ender 3, Ender 5, etc. After replacing the nozzle, please recalibrate the distance between nozzle and build plate to ensure the quality of print parts. *Wellerly are devoted to offer premium quality products to all cherished customers. Meanwhile supply 45 days money back guarantee and 18 months warranty. *If there are any questions, please feel free to contact us, Wellerly Customer Service Team will spare no efforts to assist with you within 24 hours. 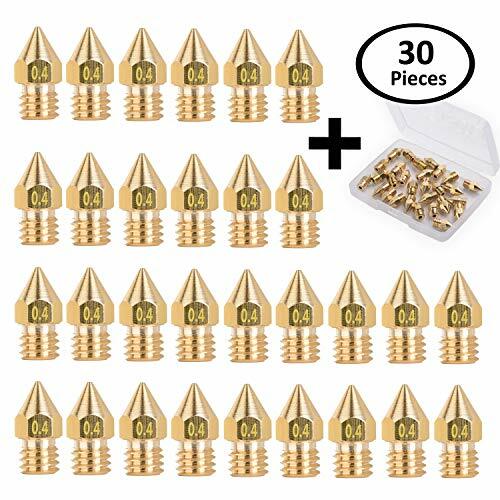 Package Include: 30 pcs 0.4mm MK8 Extruder 3D Printer nozzles in total. 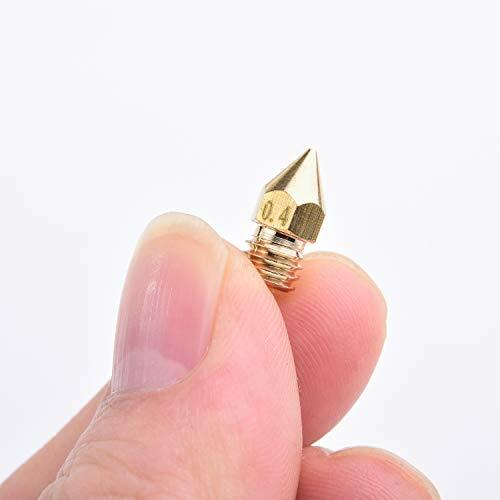 Parameter: input diameter 1.75mm; output diameter 0.4mm; out thread: M6 Fit for: 3D Printer MK8 Makerbot Anet A6 Anet A8, Creality CR-10 CR-10mini CR-10S S4 S5, Tevo tornado, MK8 Makerbot Reprap Prusa I3, Ender 2, Ender 3 and Ender 5. Compatible with all 1.75mm PLA ABS 3D printer. 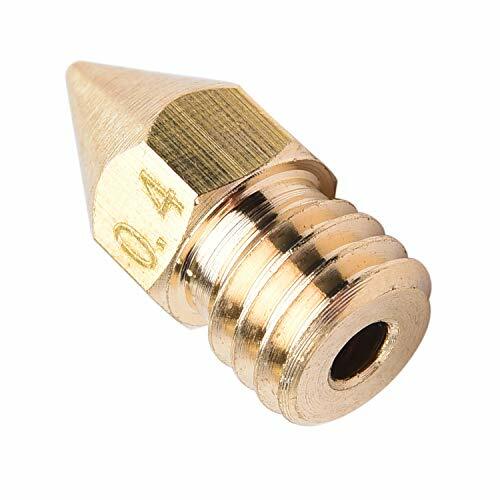 Premium Brass Material & Easy to Install: 3D printer nozzles are made of high quality brass material, sturdy and durable. 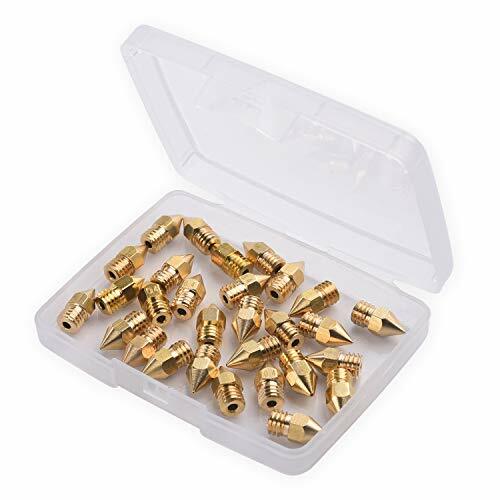 * Easy to Install: It can be easy connect with M6 out thread. NOTE: Small accessories, please keep away from children.